Skydiving is a popular extreme sport that thrills thousands of people every year but what would adrenalin junkies say to the prospect of freefalling from the stratosphere? This is about to be attempted by an Austrian named Felix Baumgartner, who wants to make history, help science, and have the most incredible experience of a lifetime. While this is mostly to record a human being literally winning a race against the speed of sound, this could very well be the extreme sport of the future. This could undoubtedly make normal skydiving seem like hanging out in the paddling pool. Those looking for that extra rush couldn’t ask for any better than breaking the sound barrier from a mind boggling 23 miles up in the air. This man must have no sense of his own mortality. Even the most hardened adventure thrill seekers must admit that hurling themselves from the stratosphere for the very first time is incredibly risky. There are numerous ways someone could die doing this, despite scientists’ best efforts to prevent any issues. “I’m not nuts”, the daredevil reported to the CNN crew, “Of course I’m afraid of dying”. He claims he loves a challenge. However, when that challenge comes in the form of plunging from the edge of space at 690 miles per hour, many people would want to back out. 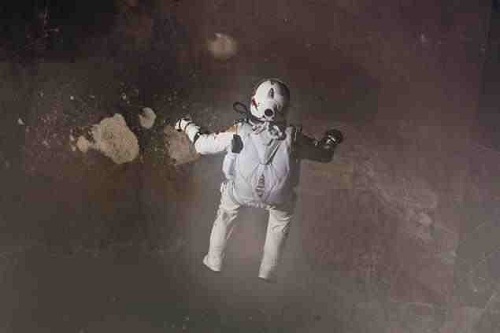 The project’s medical director cheerfully informed reporters that Felix’s skin would literally boil, should any problems occur during the stunt. 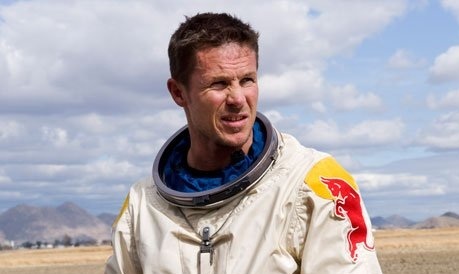 You mustn’t think of Felix Baumgartner as any ordinary thrill addict, however. He has been parachute jumping since the age of sixteen, and has spent the better part of five years preparing for this notch in history. Red Bull Stratos has planned this stunt, and thrown millions of dollars at it, to make sure their hero is as ready as possible. Felix dislikes being referred to as an adrenalin junkie, claiming that he likes the meticulous planning and training involved as well. He is also proud of the fact that he is contributing to science, advancing their discoveries in aerospace for the purpose of benefitting all of human kind. When the raging New Mexico winds drop, Felix will ascend to the heavens on the world’s largest helium-filled balloon ever created for the purpose of flight. The whole world will unfold before his eyes, in a way ordinary skydivers couldn’t imagine. Seeing the Earth in all its colourful glory may well be worth the threat of impending doom – or not. 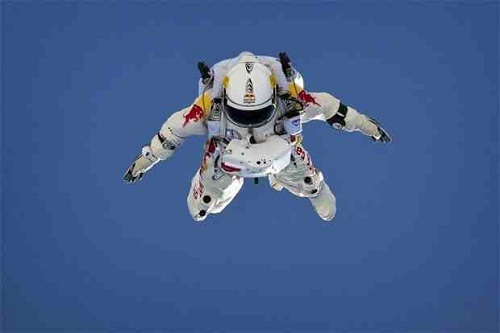 Whatever your view, Felix is determined to see this through to the end and become a pioneer in stratosphere skydiving. Becoming the first man to shatter the sound barrier in freefall is no mean feat. We can only wait and see, with baited breath, if he is successful in his gamble. Would you like to find yourself in the same position as a sane human being? This is one brave man. This entry was posted in Air Sports, Bizarre, Featured, Sky Diving and tagged Felix Baumgartner, Skydiving, Skydiving from Space. Bookmark the permalink.